Year after year, Nike releases product after product, with a lot of them being good, some being exceptional and an even fewer amount being so amazing that Nike decides to re-release them at a later date. The early 2000s saw the introduction of Nike’s Shox technology, and after almost 10 years of being locked in the vault, the Nike Shox NZ is being brought out of retirement. If you weren’t already a fan of the Shox line, you’re about to become one. Don’t expect to see any of those memorable “boing” commercials that made Nike Shox the highest commodity, because based on just the popularity of the line, the shoes sell themselves, and you already know what you’re getting. In the case of the Nike Shox NZ, it’s built for those looking for a faster and lighter alternative to the other Shox offerings, and its one piece inner sleeve provides a sock-like fit like none other. Although initially marketed as a shoe that would have you bouncing around the gym, the cat’s out of the bag that you’re not going to get that kind of performance out the shoe. However, its four pods in the heel portion of the outsole provide a shock absorbing foundation to reduce the effect of the constant pounding of running up and down, whether you are on the track or the basketball court. For the most technology advanced shoe, go with Nike. 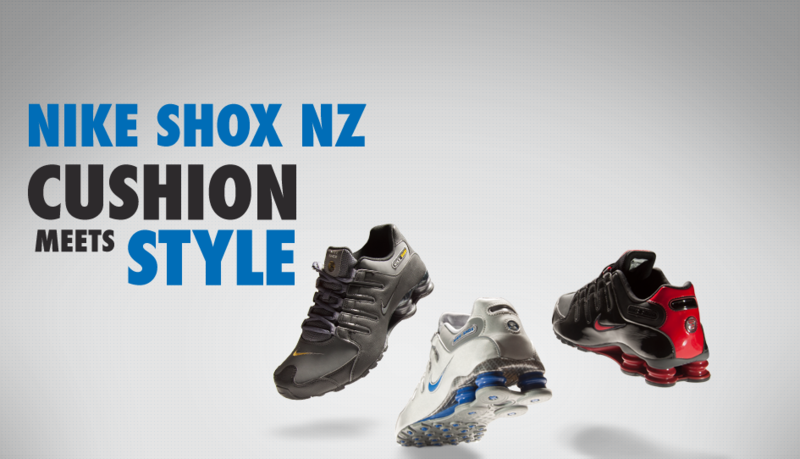 For some extra style points, go with the Shox NZ. For the biggest athletic apparel, go with FinishLine.com.